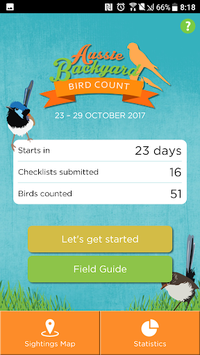 BirdLife Australia has created the Aussie Backyard Bird Count app for you to take part in Australia’s first nationwide bird survey. For one week each year near the end of October, as part of National Bird Week, join thousands of people as they get to know their local birds and help us discover how our birds are getting on. It only takes 20 minutes in your backyard, neighbourhood park, or favourite green patch to be a part of this exciting event. All you have to do is sign-up with your name and email address, select your location on the map, and start counting. 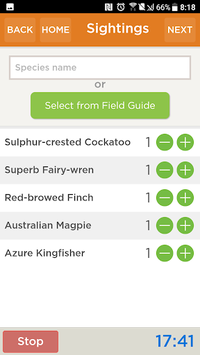 If you need help identifying birds, use the handy built-in Field Guide. 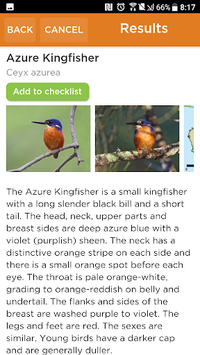 While there are around 800 species of birds in Australia, the Field Guide holds just under 400 species. Try to be as general as possible when searching or typing in bird names to get the best results. Don’t go away when the Bird Count has finished. You can use the Field Guide year round to learn more about your feathered friends.